John Gower is commissioned by Geoffrey Chaucer with a very vague and mysterious mission-find a book of songs that has gone missing. He is intrigued by the mission, but he has no idea how deep the plot will go until bodies begin to pile up. What is in this book that seems to be traveling in London’s underground? Does it have the power to set in motion terrible events, including the death of King Richard II? The more Gower learns, the more danger builds up around him. The surprise arrival of his formerly exiled son makes for very suspicious timing amid it all-how do all of these events tie together? What is the connection between a dead Lady in the woods, a handful of prostitutes, the famous Geoffrey Chaucer, a group of butchers, and his majesty, the King of England? Only the book will reveal all-and someone is killing to get their hands on it. Can Gower solve the mystery before the ultimate crime occurs? This novel portrays 1300s London in a very harsh light-nothing is sugar coated, so if you are looking for something pleasant and romantic, this is not the book for you. The language, while probably very accurate, is a lot to take in, especially from the mouths of the prostitutes and the men who commission them. All in all, however, this novel is great suspense fiction, and an incredibly detailed account of what life might have been like during the time of Chaucer. 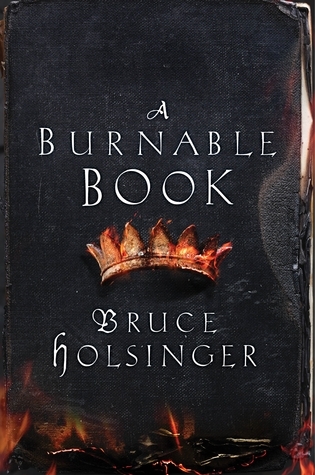 If you enjoyed The Bones of Avalon, by Phil Rickman, you will want to pick up A Burnable Book, by Bruce Holsinger.